J/News Articles: The J/122E JOYRIDE Goes for the ride of a lifetime! The J/122E JOYRIDE Goes for the ride of a lifetime! (Sydney, Australia)- Considered to be one of the most difficult yacht races in the world, the 628.0nm Rolex Sydney Hobart Yacht Race is an annual event hosted by the Cruising Yacht Club of Australia, starting in Sydney, New South Wales and finishing in Hobart, Tasmania. 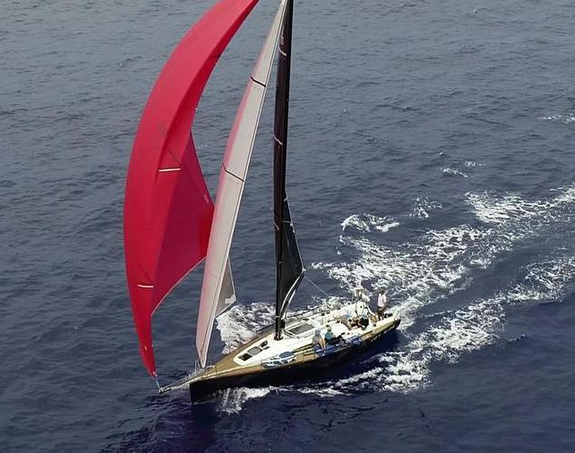 A total of eighty-nine yachts participated in the 74th edition of the race. A trio of J/crews sailed in this year’s event, including the J/133 PATRIOT (Jason Close from Sandringham YC with crew of Lex O’Connor, Jack Fullerton, Jordan Sunkel-Lozell, Marissa Chalkley, Pete Chalkley, Stuart Moseley, Graeme Smith, Alister Greenwood, Cath Furey, & Greg Coutts. In addition, the J/122 JACKPOT from Sydney was also sailing with crew of Robert Hale, Matt Gooden, Antoine Martin, Michael Westaway, Piergiorgio Merli, Robert Watson, Harry Atkinson, Antonio Zanin, and Mark Goode. And, then there were the Americans(!). 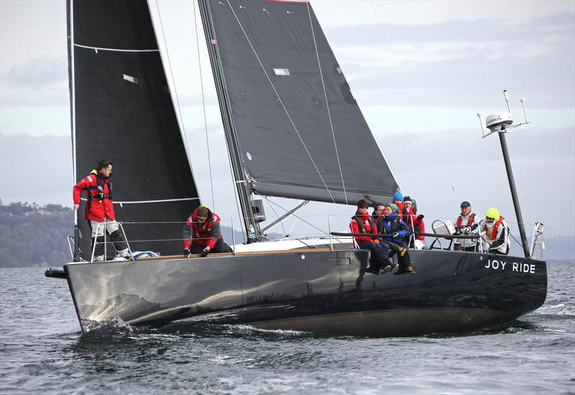 Sailing in a “bucket list” event for the entire crew, the J/122E JOYRIDE from Seattle, WA was sailed by her owner John Murkowski from Seattle YC, with navigator Bron Miller, and crew of Quill Goldman, Alexander Fox, Maaike Pen, Robin Slieker, Byron Meseroll, Erik Sjogren. When one thinks of serious Corinthian-level offshore ocean racing, four signature events come to mind, namely the Newport Bermuda Race, the Fastnet Race, the Transpac Race and the Sydney Hobart. While these races vary in length from roughly 600 to 2,000-plus nautical miles, they are all time-honored contests that test skippers’ and crews’ abilities to prepare, train and execute as a team, usually in the face of challenging offshore conditions. And, while all four of these races have delivered their share of nasty weather over the years, the Sydney Hobart Race unfurls on the historically roughest patch of water and, as a result, has developed a bit of a matching reputation for nastiness. That said, it’s tough to beat “The Hobart” when it comes to dramatic race courses, beginning with the race’s iconic Boxing Day start (December 26th) in Sydney Harbor, followed by the long run south along the coast and the crossing of Bass Straight, a place where the seafloor rises much closer to ocean surface, often creating big waves. Once across Bass Straight, racers pass the iconic “Organ Pipes” at Tasmania’s Cape Raoul, and then make a final push up the Derwent River to the finish line and, depending on when one finishes racing, the start of some well-deserved New Year’s celebrations. While all participating sailors must negotiate these same conditions and race course challenges, North American sailors have a significantly higher hill to climb, given their antipodean position relative to the starting line. This, in turn, requires a significantly higher level of planning, boat preparation and crew commitment, as well as the confidence to take on an entirely new course and challenge the Aussies at a game that they invented, and which they play at an incredibly high level. 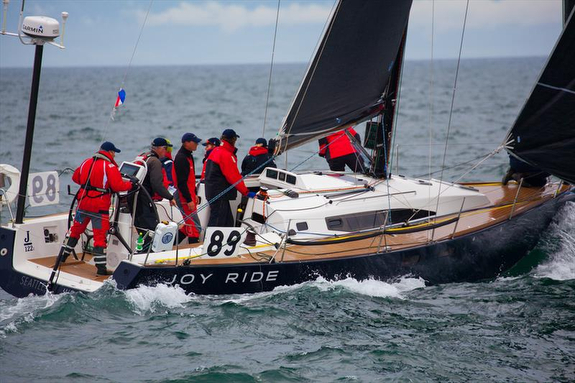 Enter John Murkowski, the owner and skipper of the well-sailed, Seattle-based J/122E JOY RIDE, and the lone American-flagged entry in the 2018 Rolex Sydney Hobart Race. 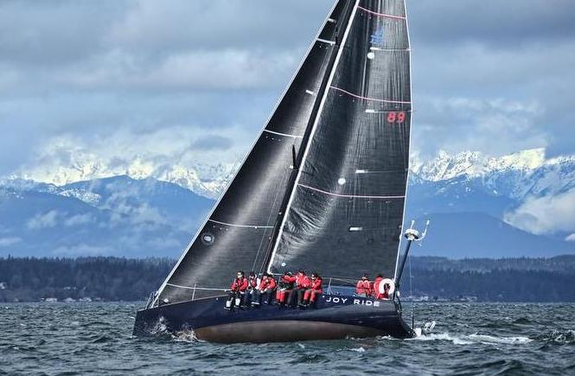 While Murkowski and JOY RIDE are no strangers on Puget Sound’s sailing scene, they first made international news by winning the Vic-Maui 2018 race on corrected time. Impressive, yes, but even more so given this was Murkowski’s and JOY RIDE’s first Vic-Maui race. Sound like a familiar challenge? 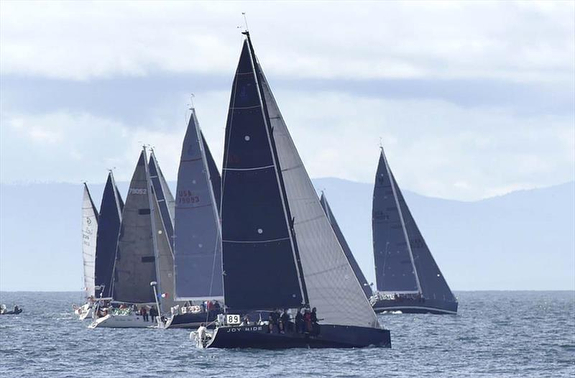 SAIL-WORLD.com caught up with John prior to the Rolex Sydney-Hobart Race. What was your impetus to travel Down Under and compete in the Sydney-Hobart? Three years ago, we sat down and outlined a race plan for the program. In addition to our normal local races, we wanted to add a significant challenge event to each year. Two years ago, that event was the Van Isle 360. The Van Isle is a two-week stage race with a mix of one-day races and multi-day races around Vancouver Island. 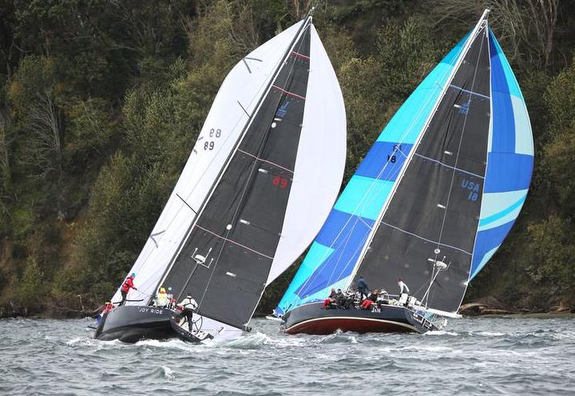 It has every challenge you would want from racing, with inland island-driven wind, huge currents associated with the meeting of flows around the island and a huge offshore component with three multi-day races on the West Coast of Vancouver Island. After winning the Van Isle, we set our sights on the Vic Maui race from Victoria Canada, to Maui, Hawaii this last July. The spacing of the races allowed us to upgrade the boat to new safety requirements, train the crew and optimize our sailing plan. The Vic Maui was a 13+ day race for us with unique conditions comprising 10 days of upwind beating (highly unusual wind conditions), large winds and sea states as a tropical storm collided with the normal Pacific high, days of light-wind frustration and a final three days of riding the trade-wind craziness. We corrected over our competition and became the first boat to ever win both the Van Isle 360 and the Vic Maui races (and hold both titles at the same time as they run in off years). With the boat in Hawaii already it seemed like the best opportunity we would ever have to enter the Sydney Hobart. Sailing is a big part of the Pacific Northwest [experience] and it feels great to be only the fourth boat from [Seattle] to ever make the effort to get to the Sydney Hobart. It felt like a shame to just sail her back home [from Maui] when there was new water and new adventures waiting farther ahead. There are other great races to do and we are already to start planning for what will happen after Sydney. We’re beginning to like the idea of shipping the boat to the Atlantic and competing in some of the iconic races available there. My end goal is to race across the oceans against the best competition available, and to never have to sail the boat back home. How long have you had the boat, and what other big events have you done with it? I ordered the boat new four years ago and had it built to my specifications by J/Composites in France. My father and I did the final inspection in their yard and then we had it shipped here to Seattle. Since then, we have done hundreds of local races with her including the Vic Maui, Van Isle 360, multiple Swiftsures, Southern Straits, Center Sound Series, Winter Sound Series, Around the County etc. We have steadily been able to improve as we have learned the boat, replaced all of the systems with our own and I’m excited to see what this crew can do with her. Can you tell us about your Sydney Hobart preparations? What, if any modifications did you have to do to the boat to get ready? Any new sails? Also, had you already accomplished a lot of this work before the 2018 Vic-Maui, or has the Sydney Hobart race been an entirely new chapter for the boat? We rode the boat hard in the Vic Maui and had to spend a month in a yard in Hawaii getting her back to pre-start form. The Vic-Maui is a Cat 0 race and, as such, has additional safety requirements than Sydney Hobart, so the boat is very well-prepared for the race. There are some different versions of requirements than what we have already met, so we are currently getting her back to race form after the sail from Hawaii to Sydney (more damage). Our sail [inventory] has been very extensive from the start. We did add a new main sail for the Vic-Maui and a new A5 but, otherwise, she has been built to race for several years. Are you sailing with the same crew that you raced to Hawaii with? Also, what kind of training and crew preparations/safety courses have you guys been doing to get ready for the Boxing Day bash? We have had the same crew for several years, with dozens and dozens of races together. Half the crew did the sail from Hawaii to Sydney and is there now working on the boat. We have all had our safety-at-sea course, multiple first aid certificates etc. We believe we are well prepared for what is coming; but we’ll see. Has anyone onboard ever done the race before, or will this be a first-time experience for all involved? Just like Vic-Maui, we do not have any [crewmembers who] have done the race before. We discussed this at length prior to the Vic-Maui as some of competing boats had 30-40 races under their belts when you combined their crew experience. In the end, we decided that the continuity of the crew trumped the addition of a new crew member with prior race experience. What aspects of the race are you most looking forward to? The start? Bass Strait? The Organ Pipes? I love the starts of big races. For us around here, the start of Swiftsure every year is the highlight with over a hundred boats, the Canadian Navy (committee boat), bands and crowds on shore etc. I’ve watched every Sydney Hobart race I can, and I’m most looking forward to the entirety of the start and the excitement that comes with that many people, preparation and energy coming together. Joy Ride has always operated on three goals that I learned long ago as a mountain guide: Be Safe, Go Fast, Have Fun. As long as we stick to those goals in that order, our individual and collective goals will be accomplished. The results will be what they are. In the mountains it could never be just about the summit as the mountain didn’t always allow you to get there. It was always about the journey and the people you choose to share it with. I think this race like all of our recent races will also be about the journey and the people we get to share it with. What are your post-Hobart plans? Will you stick around Oz and do some cruising, or will you and the boat be headed back to Puget Sound? I have twins due a few weeks after the race and will be flying home ASAP to make sure I’m around for their births. The boat will stay in Sydney until our next race plans are determined. The current plan, assuming the twins are settled down, is to ship the boat [to the UK] in time to compete in the 2019 Fastnet. It has been a great experience already with the local race organization being incredibly helpful and accommodating of our transit from Seattle and welcoming us into Sydney. I wasn’t able to participate with my crew in the delivery to Sydney and, as such, haven’t been on my own boat since finishing the Vic-Maui. I’m very much looking forward to being back on the helm with the crew of Joy Ride. Thanks for the contribution from SAIL-WORLD News. A few comments from the owner of J/122 "Joyride" prior to the start of the Rolex Sydney Hobart Race For more Rolex Sydney-Hobart Race sailing information Add to Flipboard Magazine.